Dirt transportation from tires into sensible areas is very often underestimated. First of all the entrance zones will be contaminated and following vehicles will then spread the dirt further into the production areas. With ProfilGate cleaning grates soiling problems can be eliminated directly at the entrance zones. 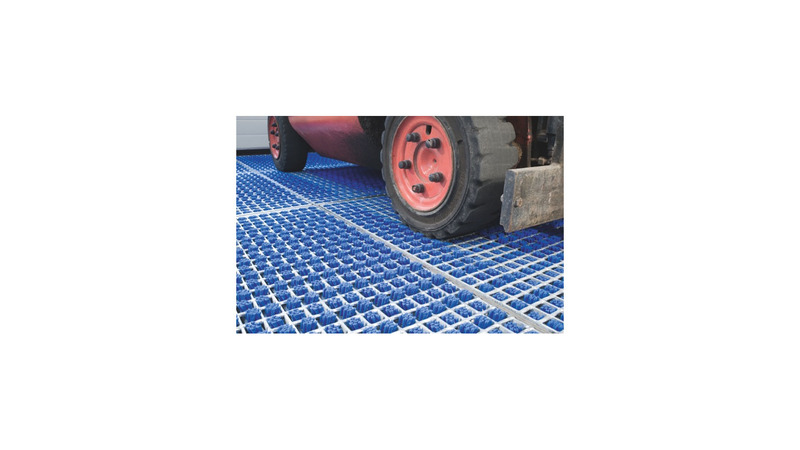 The grates have a height of 55/65mm and can be mounted at ground level or above ground level and be accessed via flat ramps. This way a forced passage can be set up easily which all vehicles have to pass. Hot-dipped grates with special brushes are placed inside stainless-steel bins, which collect the brushed off dirt. The particular angle of the special brushes automatically clean all kind of tire treads mechanically when crossing the grates.